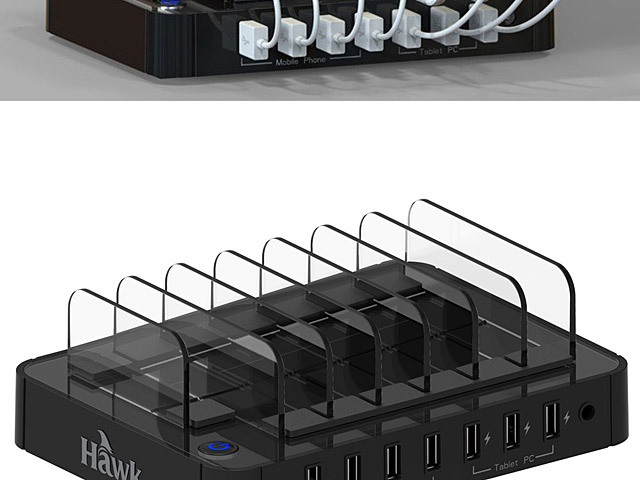 Hawk S760 7-Port Charging Station is independent 7 USB ports maximum 11.2A output, charge up to 4 regular capacity devices (1A Max.) 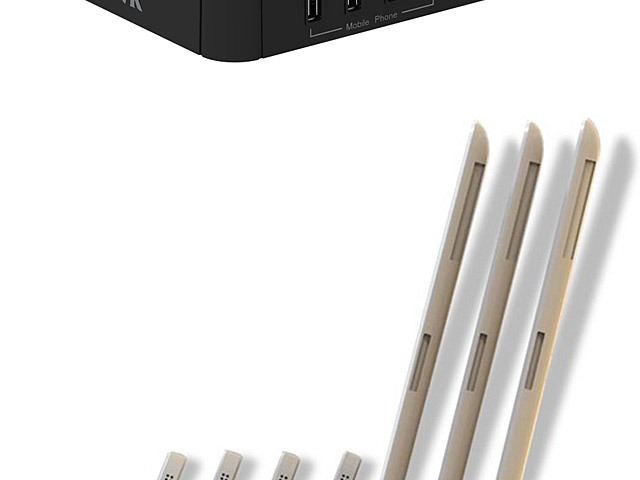 and 3 high capacity devices (2.4A Max.) 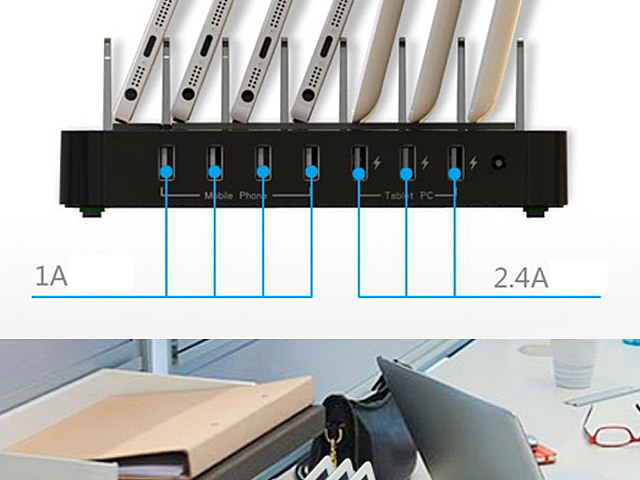 such as tablets and Smartphones simultaneously. 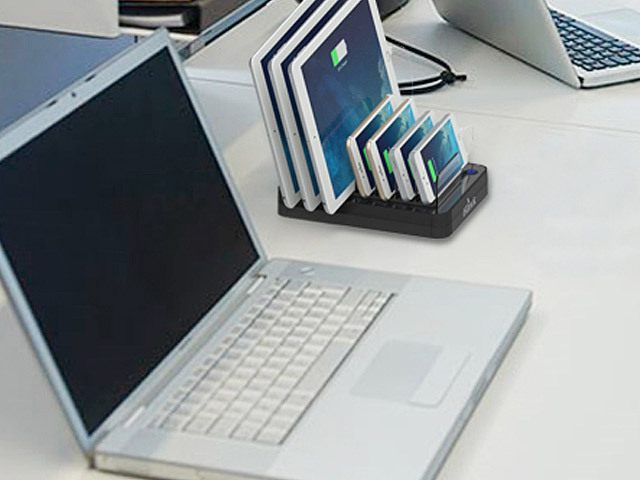 Intimate designed with Anti-scratch silicone padded phone shelf, organizes your gadgets easily while charging and helps to keep your work space neat and tidy. 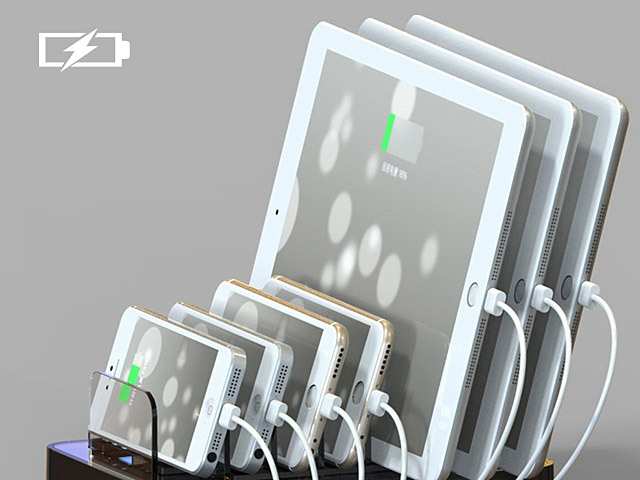 Fast charging for iPad, iPhone, Android phone, tablet, digital camera and GPS etc. 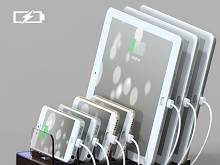 Intelligent protection: Built in smart charging chipset, surge protection short circuit protection, over temperature protection.